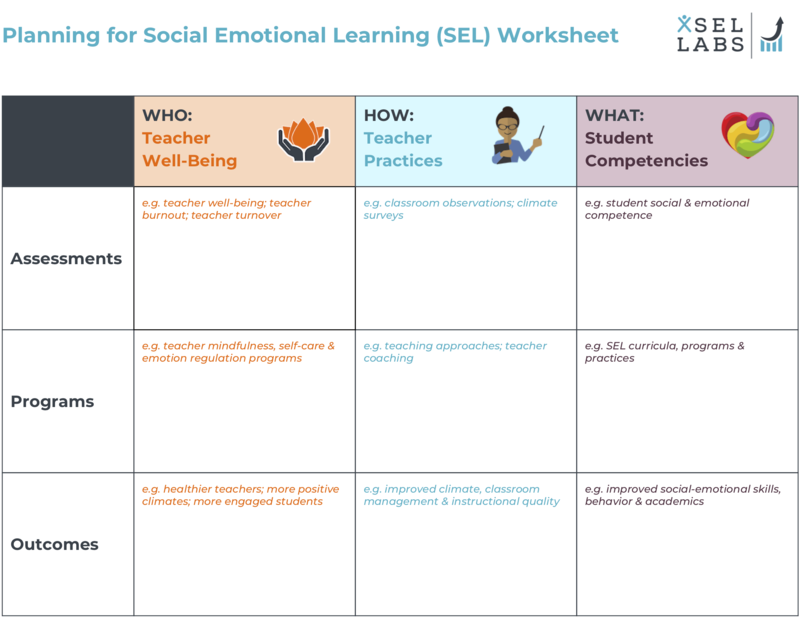 Is your school community considering strategies for teacher well-being, teacher practice, and student competencies as you plan for social emotional learning? We’ve developed this worksheet to help with your planning. We hope you find it helpful as your team works together to clarify the assessments and programs your school community will leverage and the outcomes you’ll aim to achieve. Which SEL strategies are you considering? Are you planning for SEL assessments, programs or both?